Both are a Big Deal at Mountain Lake Lodge! This year has been an exciting one at Mountain Lake Lodge, we've been able to expand and redesign our pool area to better help our guests relax and we're not done with the big news! 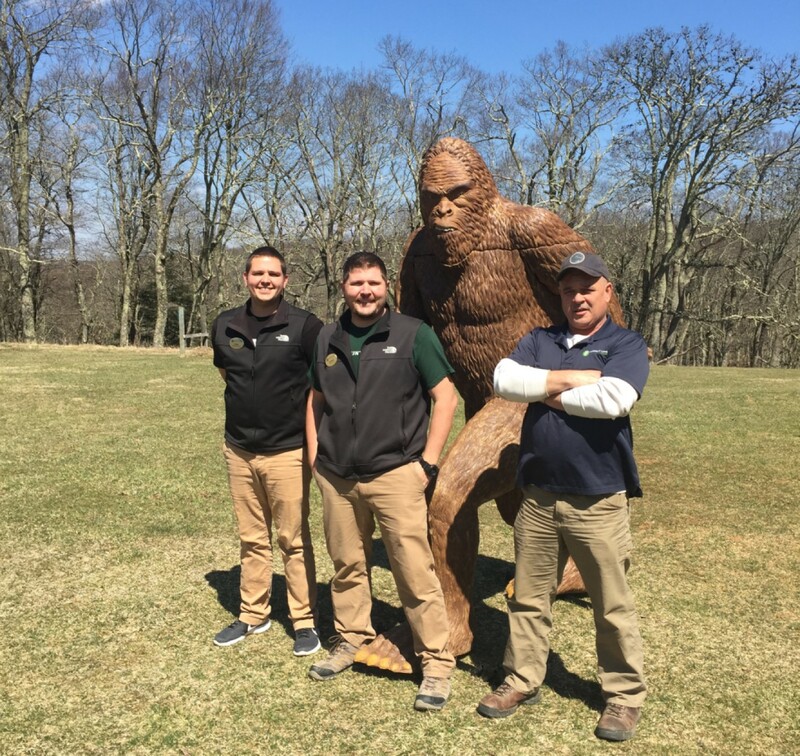 We are very happy to announce that we have some new activities at The Lodge this summer including 3D Archery featuring Bigfoot! 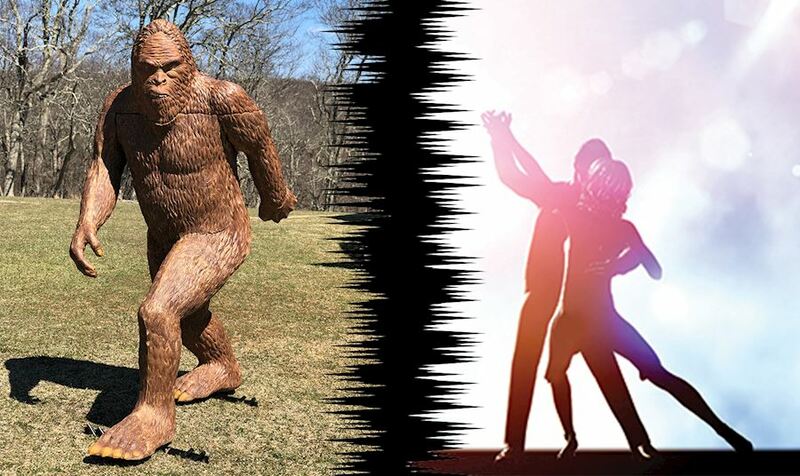 We promise you won't be disappointed by our larger-than-life Bigfoot! Our Recreation Staff has been working harder than ever to make sure "Every day is Saturday" and we'd like to officially introduce them to you, now you may recognize them if you've visited before, but we're proud to show off our team. Jeremiah is a passionate outdoor enthusiast who can be found exploring the great outdoors with his kids and wife when not at work helping our guests. He is excited to have joined the Mountain Lake Lodge team and brings experience from companies like: Walt Disney World, The Greenbrier Resort, ACE Adventure Center, and The Resort at Glade Springs. Jeremiah loves the outdoors and can't wait to help our guests enjoy the beautiful landscape that is Mountain Lake Lodge. If you're looking for adventure while you're here, he highly recommends our Treetop Adventure Course, find out more about it below! Austin loves his job here at Mountain Lake Lodge because he gets to make every day feel like Saturday for our guests. Austin graduated from Concord University in West Virginia with a degree in Recreation and Tourism Management, and uses that background to help further enhance your experience. In his off time, Austin can be found at any Virginia Tech sporting event - especially basketball, or fishing, and enjoying the outdoors with his fiancé. While you're here, Austin's can't miss activity is the new 3D Archery Course, find out more below! Joe has been a part of the Mountain Lake Lodge family for over 30 years and he's excited to officially be the Clays / 5 Stand Manager. Joe currently lives in Eggleston with his wife, and when he's not helping our guests you can find him hunting or fishing. Joe has taught his kids, grandkid, and his wife how to shoot and loves to teach others how to as well, and he's is a NCCA certified instructor so everyone is in safe hands with Joe! He can't wait to meet and help all of our guests enjoy our 5 Stand Shooting Range. Make sure you check out Bigfoot and our other activities. Start Your Summer Stories Here! 3D Archery will let you test your aim with our larger than life Bigfoot! 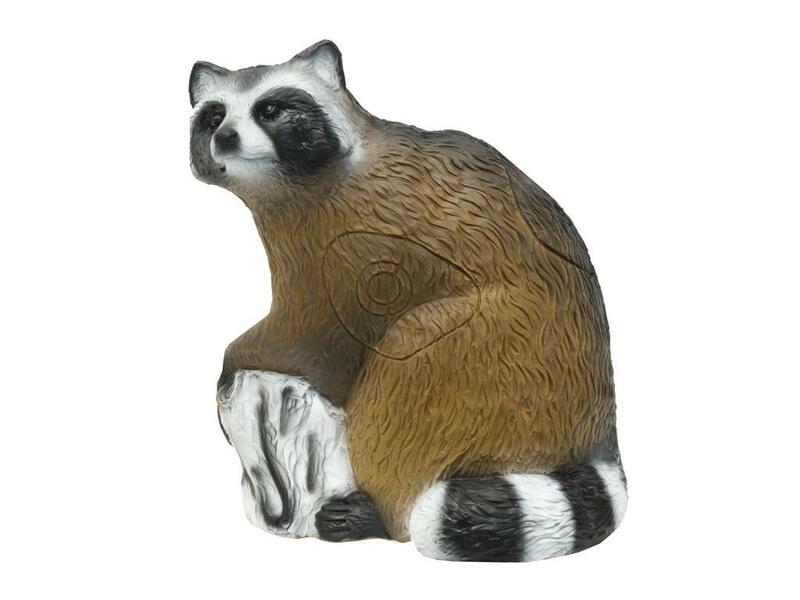 If you up for more a challenge, see if you can hit some of our smaller targets like the woodchuck or raccoon. This fun test of skills for all age ranges, and promises to challenge everyone! Archery Tag, do we need to explain more? This is the perfect opportunity for a friendly rivalry, pick your team and take aim! With our specialized foam tipped arrows, you can shoot your friends and family to your heart's content. 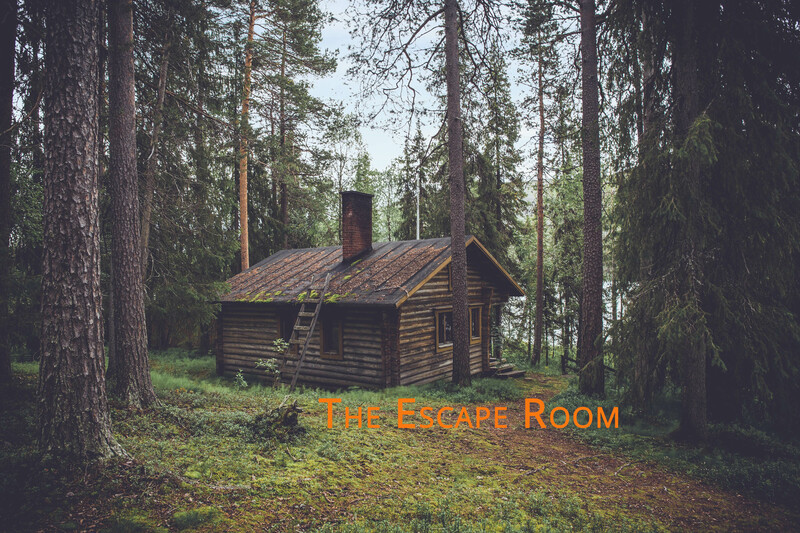 Our Escape Room challenges you and your team to escape with all the supplies necessary to survive in the woods! Time's running out, you only have an hour. Bubble Ball! 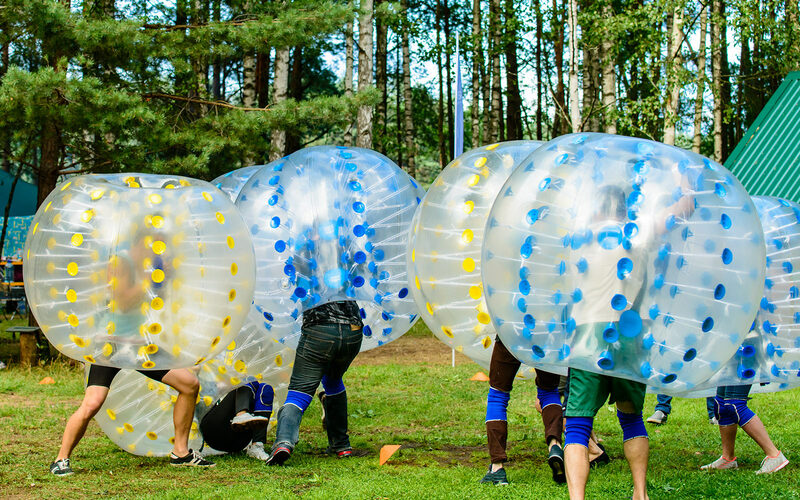 Because you needed a fun alternative to just regular soccer, get ready for a great time bouncing into friends and family as you kick your way to victory! 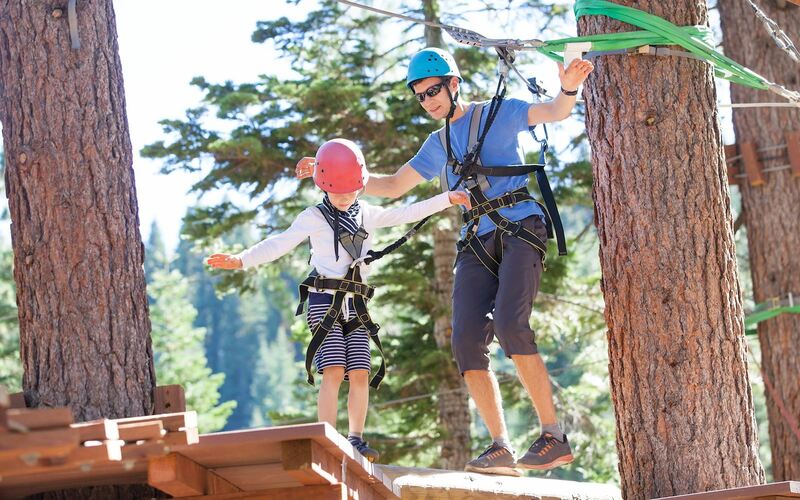 Treetops Adventure Course is a great way for you to climb, balance, and zip-line your way through our beautiful mountain landscape. We have two adult different courses, and a special course just for the kids so bring the whole family for a day in the trees. 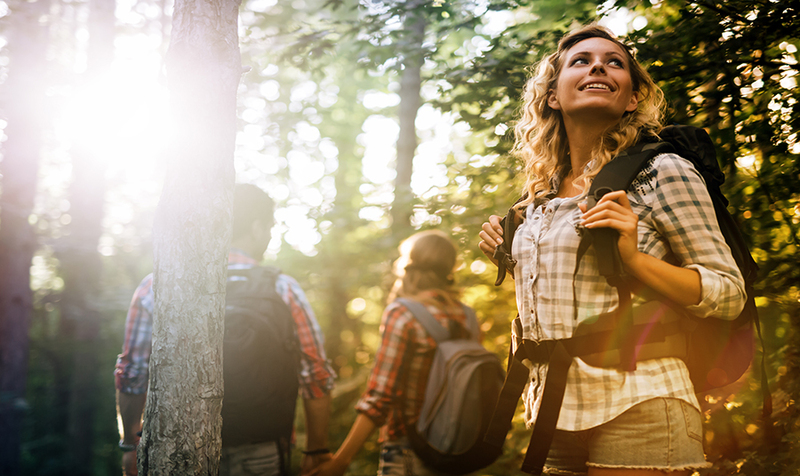 Guided Hikes are a great way to make sure you see the best parts of Mountain Lake and get an extra hand to help take those all-important pictures that capture you and the view!